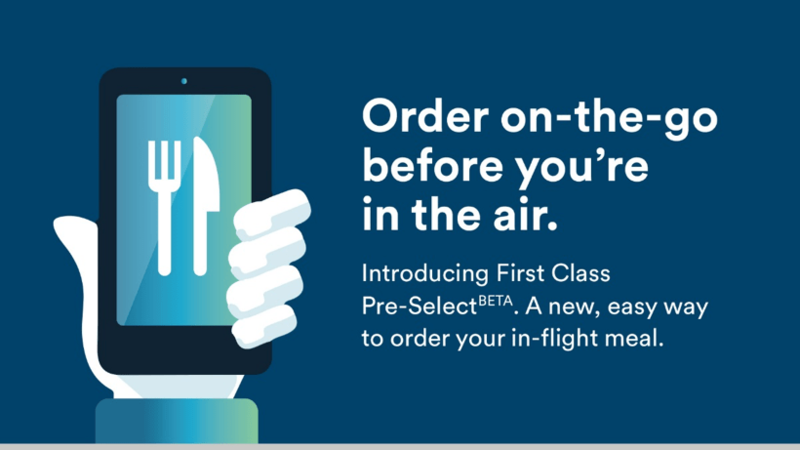 Today Alaska Airlines is rolling out “First Class Pre-Select” — no, this isn’t Pre√ that gets you through security faster. 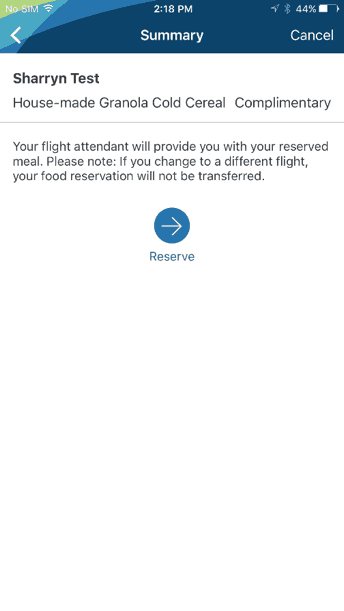 This is an option on the Alaska app that allows you to pick your meal when flying First Class on certain routes on Alaska Airlines. Starting on October 24, those flying FROM those cities to Seattle can also order their meal in advance. The program is in “beta” which means this is a first roll out. My guess would be that if this works, Alaska will be rolling this out to more (all?) of their flights. 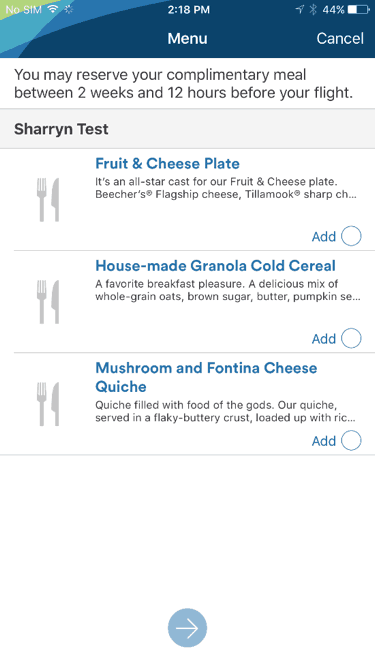 If you purchase a First Class seat on one of these routes OR are upgraded, the latest version of the Alaska app will allow you to select your meal starting 2 weeks out up until 24 hours prior to the flight. Note: the screen shots below say 12 hours but I confirmed with an Alaska employee the cut off is 24 hours. The selection will include three options: the two scheduled First Class meals or the fruit and cheese plate. It seems like every time I fly First Class someone requests the fruit and cheese plate. Alaska got the message and is now baking in this option. 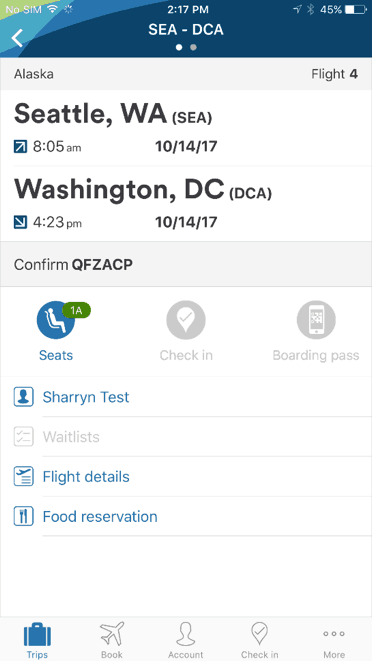 In order to participate in First Class Pre-Select, make sure you have the latest version of the Alaska app downloaded to your phone. Open your reservation and you will see an icon for “Food Reservation”. You will then get a confirmation screen showing your selection. The First Class flight attendant will then bring you your selected meal during the meal service. Not a huge deal but nice to see Alaska continue to make these passenger experience improvements. I don’t have any of the above routings booked so I can’t try it out, but hopefully some of you can and will provide comments below with feedback about the experience. 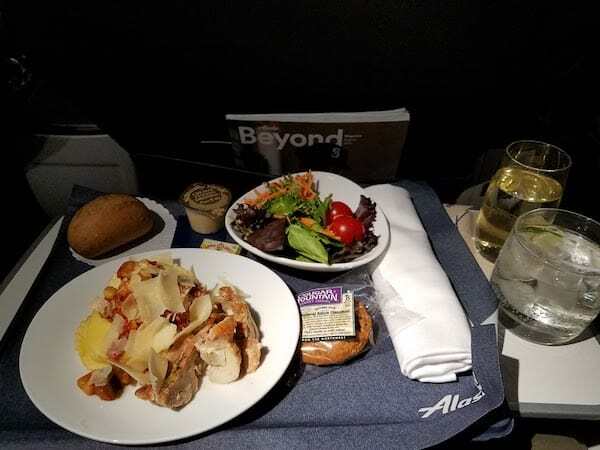 Have you tried out the new Alaska Airlines First Class Pre-Select? How did it work for you?